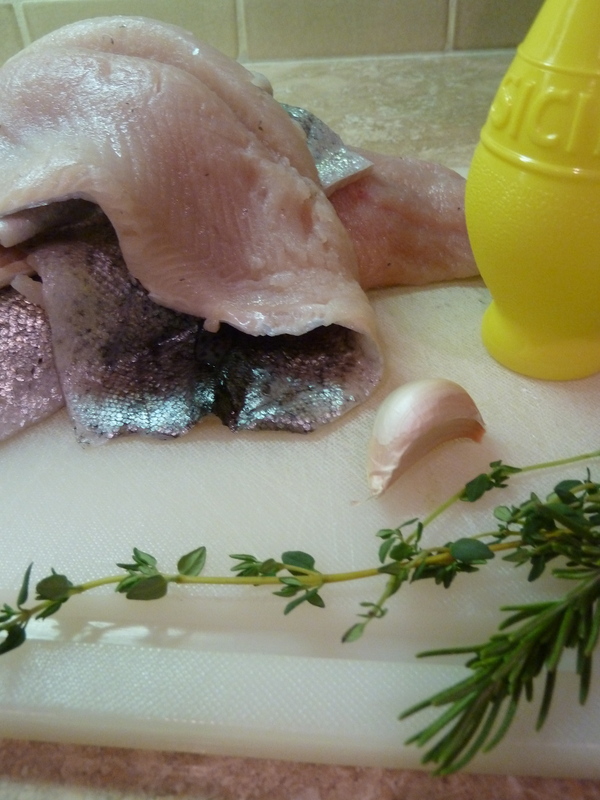 simple sunday: lemon-garlic rainbow trout | Is there any wine left? I’ve been dreaming about rainbow trout since I had a really delicious one the other night at Ava. It was served with crabmeat and caramelized cauliflower with pine nuts. Wow! Even though I would have loved to recreate the whole meal, I really wanted a quick dinner. This simple lemon-garlic baked rainbow trout could not have been better — it satisfied my craving for delicious rainbow trout and was quick and easy. Be like me and crack open that bottle of wine now while you’re cooking. 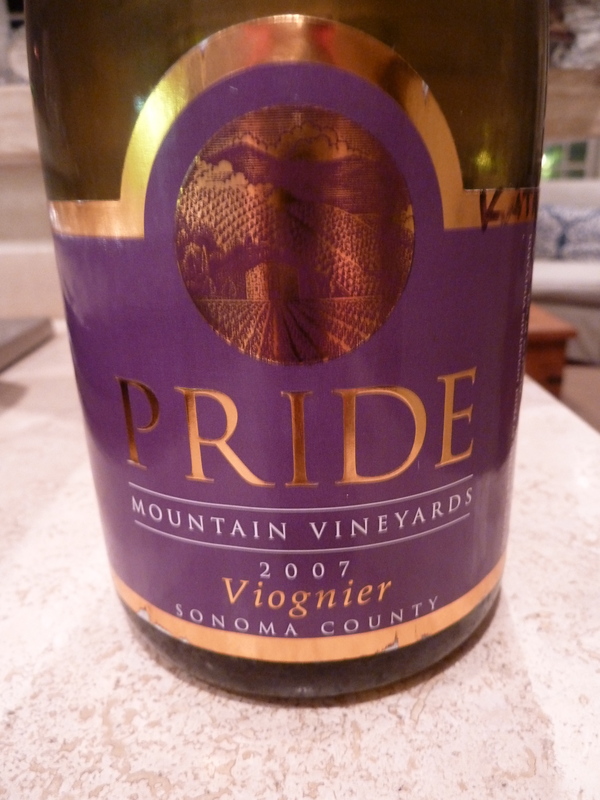 This is a great, light white wine – it is crisp and has great citrus flavors and pairs well with the trout. 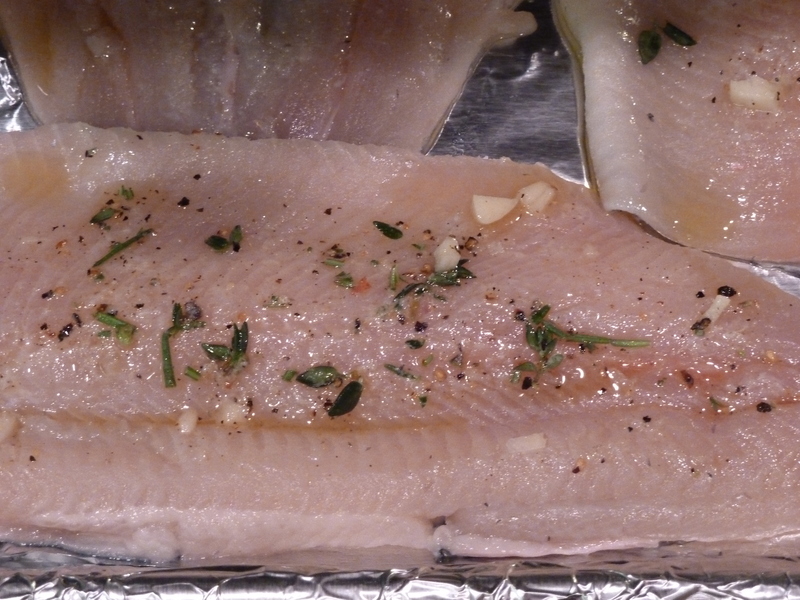 Lay the trout filets skin side down on a greased baking sheet. In a small bowl, combine the garlic, rosemary, thyme, lemon juice, salt, pepper and olive oil to make a paste. Spread the mixture on the top of each filet. 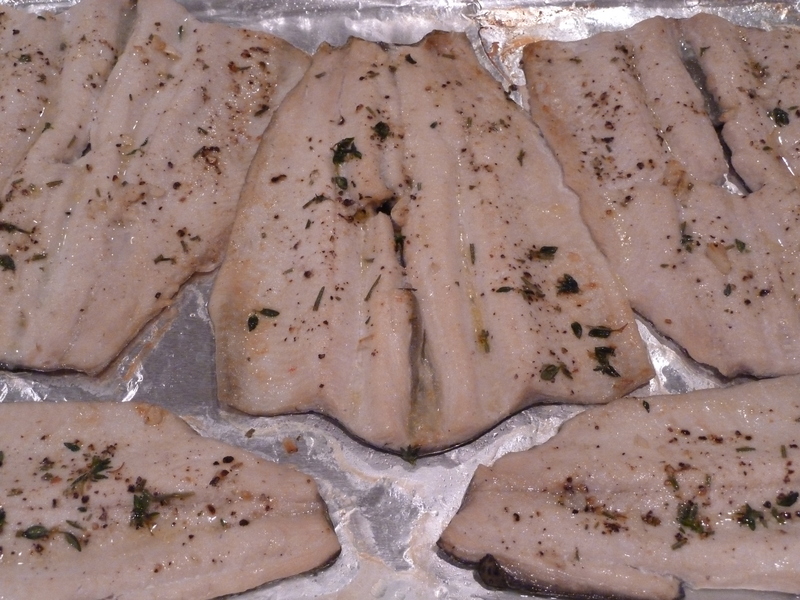 Broil the trout for 5 minutes, then lower the oven temperature to 325 degrees F and bake for 10-12 minutes longer. Serve immediately.